This year two pumpkin plants grew out of the compost bins and soon they sprawled across half the backyard. Fed by the compost they yielded 30 medium to large pumpkins that were a blessing to family and friends at harvest time. 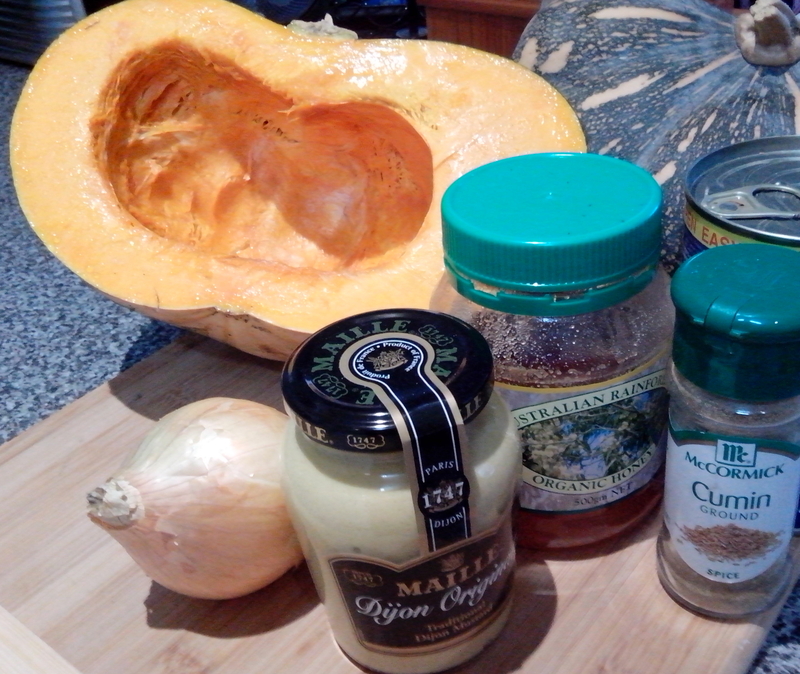 We’re down to our last four so I thought it was a perfect day to make pumpkin soup. 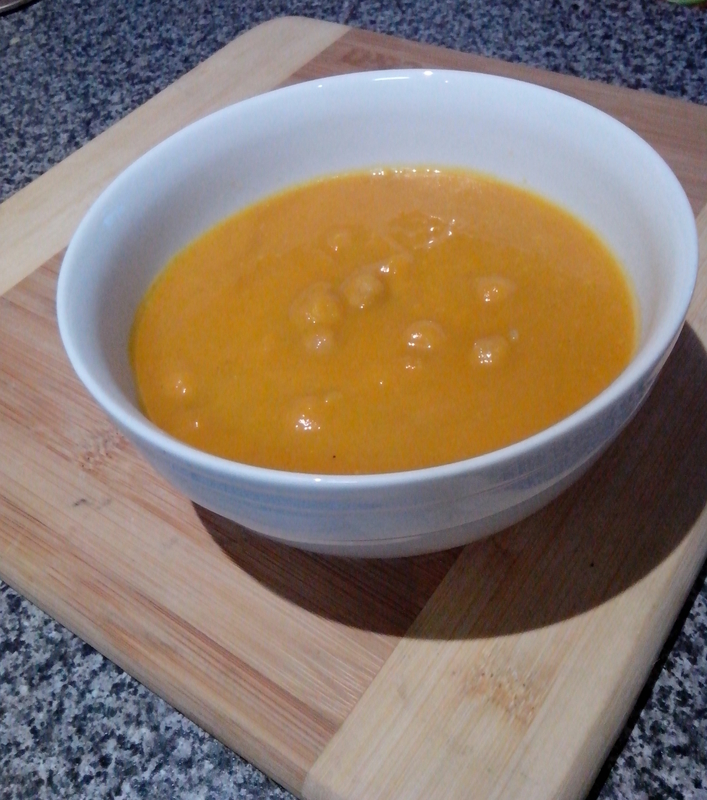 Roasting the pumpkin brings out the natural sugars, the ground cumin and honey make the soup flavourful and the addition of the chickpeas adds to the nutrition of the dish. I hope you will enjoy it. Wash and halve pumpkin and cut into one large 1 kg piece (scooping out seeds) and place in a baking pan cut side down with the skin side up. Bake for 45 minutes, checking after 40 minutes and adding extra time if required. It should be soft throughout. Heat the olive oil in a large saucepan on a medium heat and add the onion and cumin stirring it through well. Heat the 3 cups of stock in another saucepan. Serve with crusty bread, perhaps a lovely homemade loaf……well, that will be for a future post!